From us to you!!! The following are a few deals that will make your holidays magical. Need an excuse to go to Las Vegas? Thanks to Strayboots.com, you can run around Sin City learning everything you can while having fun with your friends. But wait…we also have deals in other cities like Seattle, and Miami. This event is in San Francisco and is on Nov 21st and Nov 24th. We suggest you head up there and meet new friends. What ever you end up doing for this Thanksgiving turkey vacation, please do it safe and sound. and if you do get a deal from Rush49, enjoy it and let us know how it was. Where would you like to go? Nepal? Zihuatanejo? At Rush49, you can indulge your senses at either of these spectacular locations. A 3 nightstay at a 5-star Trip Advisor rated green resort. You will be staying at a perfect 200 acre Eco-retreat with pristine beaches. The dates available are Nov.3rd-Dec.9, 2012 and Jan.5th-Mar.23, 2013 (must book by Feb.1st, 2013). If Nepal is more your choice we have that too. Whats involved in the 9 night excursion? This offer includes hotel accommodation, transportation within Nepal by private bus, breakfast daily and English-speaking guides. 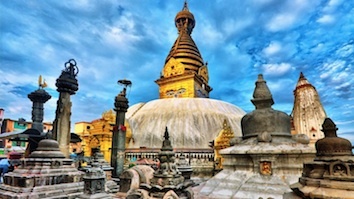 Accommodation is in 3-star hotels either at Hotel Thamel or Hotel Buddha. With any of these trips, you are sure to have a grand time and have many stories to tell your friends..